This month, we are sharing projects created with our favorite Stampin' Up! items! I am so excited to see what all of my fellow blogging friends choose! It could be anything - our favorite Stampin' Up! stamp set, tool, embellishment, or even color! My choice was easy. My favorite thing from Stampin' Up! is Paper Pumpkin! For those of you unfamiliar with Paper Pumpkin, it is a monthly subscription craft kit from Stampin' Up! Every month is a creative surprise with everything you need to create adorable predesigned projects. You also get a mini ink pad (or two!) and an exclusive stamp set in every month's kit. That is probably my favorite part. Subscribing to Paper Pumpkin is a great way to build up your ink & stamp collection. And, the projects are always so cute & easy! The video above shows you everything we got in this month's kit. You really get a lot of bang for you buck. The kits are only $19.95 a month & that includes shipping! I just love that the projects are simple, quick & cute! When I get my Paper Pumpkin Kit in the mail, I usually like to make a few of the projects following the instructions like I did with the cards above. Then, I like to go off script and create something totally different with the kit contents. I love coming up with alternative ways to use my Paper Pumpkin kits! I was super excited to see 2 rolls of washi tape in the kit this month and there is so much leftover so I wanted to design a card focused on that gorgeous washi tape! This washi tape is really cool, too because the plus signs on it line up so when you place strips of the tape next to each other it creates a continuous pattern. I just love the way the strips of washi tape create an unexpected backdrop for the dragonflies. This is so simple to create! If you can put tape down on paper, you can do this! And, it is such a great way to bust through some of your washi tape stash! I'm excited to try this with other washi tapes, too! The "thanks" stamp was from the exclusive stamp set in this month's kit so all I used from my stash is some cardstock, dies, and a little bit of bling with the basic Rhinestones! I love stretching my Paper Pumpkin Kit & creating even more cards beyond the predesigned projects! Thanks for stopping by my blog today! I hope you enjoyed these card ideas. I would love it if you would leave me a comment to let me know what you think. And, please Contact Me with any questions you have! I'm always happy to help! 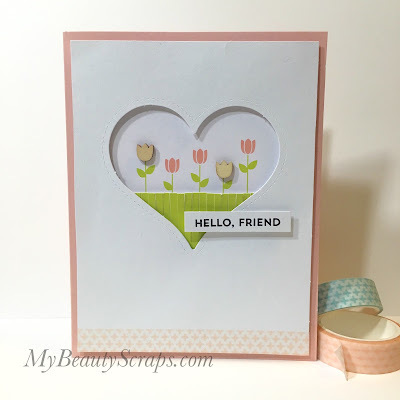 Click the image below to continue along on the hop for many more beautiful creations made with our favorite items from Stampin' Up! Awesome cards, Danica! Simple, quick and beautiful are always in order. I also loved the card you made combining paper pumpkin and some other favourite tools. Great use of washi tape Danica. I always seem to hoard mine until it retires! Great idea! Great Paper Pumpkin cards. I really like the last one - great idea! I love your cards Danica especially the dragonfly card. Great use of the washi tape. Thank you for sharing! As always great cards! I love using the washi tape as background...one of my favorite uses.